We believe it is part of our responsibility to put our faith into action, and that sometimes this requires us to travel far beyond our comfort zones. Doing so teaches us much about being disciples of Jesus, shapes us spiritually, and helps us discover our gifts as we put them to use for the well-being of others. Close to home, Saint Mark's has recently been directly involved with and financially supportive of Saint Mary's Bainbridge Street (which we founded as a mission in the late 19th century), the Church of the Crucifixion, and the Welcome Center (for which we provided a long-term grant early in its development. In the summer of 2013 and 2014 we participated in a multi-faith home repair project with Habitat for Humanity in West Philadelphia. Our most significant mission project was the adoption in 2008 of the Church of Saint James the Less as a mission of our parish and the subsequent founding there of St. James School - an independent Episcopal middle school for children from low-income families. Prior to the founding of the school, we were also a partner with the diocesan office of Youth Ministry of City Camp, which has since outgrown its original home at Saint James the Less. Further afield, the parish has sent mission teams to work on home repair in Appalachia, and to volunteer at Camp Coast Care in Gulfport, MS in the weeks after Hurricane Katrina in 2005. In 2008 we organized our first mission trip abroad: a free medical clinic in Honduras. This mission was so successful that a similar trip was organized in 2011 and another in the summer of 2014. For more details or to make a donation to support this mission please click here. A monsoon-like rain began to fall yesterday afternoon about 2 pm and in no time at all the water was spouting down off the corrugated roof. Children were showering beneath these fountains, and the rain in no way squelched their enthusiasm, nor did it send them scurrying to take cover anywhere at all - not even inside the church where we were keeping dry. The rain effectively brought the clinic to a halt; it was so overcast that it became hard for the doctors to see (the power had been out all day). We still managed to see 94 patients during the day before waiting out the storm and heading back to the hotel. Last night we took our Honduran partners out to dinner at a fun place known for its good food in the center of Puerto Cortez. We enjoyed big platters of fried plantains followed by bigger platters of mixed grilled meats and shrimp with a variety of beans and salad. Our hosts suspect that this was the first time some of the teenagers we took with us, and who live in the community nearby, had ever been out to a restaurant for dinner. We were pleased that we were able to do a simple thing and enjoy such warm fellowship. During the course of the meal thanks was given, toasts were made, and affection shared among the 31 of us at the table. The plan was to wrap up on Thursday and take Friday as a free day, but it had become clear to us several days ago that continuing to work on Friday would be a welcome thing, especially since we discovered that school would be out, and there might be some children brought to us on a day with no school. It was an easy decision for us to return this morning to open the clinic for the morning before packing up the remaining supplies to be distributed by our diocesan hosts where they are needed most. The usual horde of children was awaiting us - some for treatment and some are the same children we see every day who are simply hanging around. Today they were hoping for handouts of the chocolates we happened to bring with us- we are happy to share as much s we possibly can. One of our doctors examined a new-born child (3 days old), our infectious disease specialist was able to provide some treatment and reassurance to a patient with chagas disease (a rare South American parasite), we provided intervention for several people suffering with diabetes, provided pregnancy tests (some positive) for several women, dispensed all of the inhalers we brought for asthma to those who needed them pretty badly, and or course more lice and all the other symptoms of poverty. We restocked our Ibuprofen, Tylenol, and baby aspirin supplies and nearly depleted them again, and we handed out thousands and thousands of vitamins to adults and children, as well as lots and lots of Tums. It did not escape our notice, despite any obvious signs in the local environment, that today is the Fourth of July. Your blogger was prepared, in some small way, to spend the national holiday abroad, and had secreted a supply of American-flag-design bandanas in his luggage, which he distributed to the team, and several of our Honduran cohort. Subtlety being the watchword and modesty the standard of your blogger, he had, of course, no desire to draw undue attention to the aura of liberty that must have enveloped us; but if it was obvious to the casual observer, can he be blamed? We closed the clinic at noon and had seen and all the patients and distributed medications by 1. After cleaning and packing everything up, we celebrated a Mass together with our Honduran partners with Mother Marguerita at the altar and Fr. Mullen at her side. This act of thanksgiving allowed us all to say what needed to be said to one another and to God. The Gospel reading instructed us to "seek first the kingdom of God," and it seemed to many of us that we had been doing just that, albeit somewhat unawares. We had seen about 92 patients during the morning. About half of us made a trip in the afternoon to a small waterfall in a local park where we could walk for a short while beneath the rainforest canopy and swim in the cool water beneath the waterfall, and soak up for a little while a bit of natural beauty, perhaps shown to us to allow us to see the less obvious beauty with we have been surrounded these past several days. Reflection on what all this means is probably best delayed to allow for the passage of some time and the input of others. All the same, there seems to be a consensus that God has been at least as good to in bringing us here as he may have been to those whom we have served, who number, we think, about 628. Today it felt as though we fell into a bit of a rhythm, having established a good system that seems to work well. Our Honduran partners continue to be absolutely crucial to the smooth running of the clinic - so many good interpreters makes a huge difference in what we are able to do, and in how well we are able to respond to the needs of the people who come to us. Children are everywhere, still. They are adorable and often filthy - these two are not mutually exclusive we have found, though we often wish that we could scrub the children clean. Their smiles mean a lot to us, sometimes prompted by nothing but the gift of a rubber band or the favor of a photo taken. Bob and Bonnie Dettore, two of our team members, had finagled the Phillies to provide a supply of baseballs, backpacks and T-shirts to bring with us. As it happens, there is an Episcopal school located just down the hill from the church where we are working: a three-room schoolhouse with a dirt courtyard, and an outdoor stage. We arranged to give these gifts from the Phillies to the students of the school, and to say that that it caused excitement in the schoolyard would be an understatement. Unadulterated glee was the response to these gifts. It is too facile a thing to compare these children with the well-provided-for (dare we say jaded?) children with whom we so often come into contact in the States, but it was still hard not to be moved by how easy it was to make these children so happy for a short while. We have some idea of what we hoped to accomplish on this mission - we wanted to bring a measure of care and relief to people who we understand to be in need of it. Your blogger finds himself wondering (at last) what God might be trying to accomplish through our time here. Such a question may stretch the imagination, or its possible answers might seem very simple. It does seem appropriate to wonder what God might be using us for, and, with only a couple of days left, to try to open ourselves up to whatever that might be, and make us more available to being what St. Francis called "instruments" of peace. We pray that God will make us sing or hum or buzz with his peace. Philadelphians far and wide will be interested that our beloved Nurse Pearlstein was referred to more than once today as "Fr. Kenny." Your blogger is reflecting on this phenomenon, which he expects to be repeated tomorrow - he has used the moniker once or twice today himself. We treated something like 135 patients today. We estimate that the ratio of children to adult patients we saw today is about 3:1. Additionally, there is a significant gaggle of children who hang around the clinic all day long hoping that we will give out gifts, take photos, or blow up their soccer balls with syringes (this is not an effective method, we know, but sometimes you just have to demonstrate how ineffective it is). The children mostly amuse themselves, running all over, peering in windows at the workings of our pharmacy, and tormenting one another. Some days of a mission like this are marked by a measure of drama. We thought that when a man showed up asking for a bullet to be removed from his abdomen (it was an old bullet wound, not a fresh one), this might be the day's drama. The bullet was deftly removed by one of our surgeons without much drama at all. And the drama of the day was yet to come, when a 28 year old pregnant woman arrived (with her four young children in tow) to announce that she was having contractions only five months along. It was clear to one and all that delivering a premature baby was not a good idea under the circumstances, and yet this was a situation for which we were not exactly prepared. Nurse Pearlstein, ever resourceful, quickly established a phone connection to his cousin in Texas who is an Obstetrician, at just about the same time a local mid-wife arrived. Another of our nurses, Suzanne, was also called down to assist. In the pharmacy it seemed to us that hot water and towels were being called for. No magnesium was on hand for a medical intervention. Your humble blogger knows little about what actually happened to successfully address the situation, but he can testify that mother-to-be and all children were seen smiling as they left, having been as well cared for as we possibly could. Although the decisions about care are not complicated in some ways, the implications of the care we are able to provide sometimes leave us feeling ambivalent. It is frustrating to know that there is little opportunity for follow-up, and that we don't actually have an ability to impact the lives of the people we are treating in obvious long-term ways. We are hoping that in some ways the impact will be longer-lasting that we expect, even if we cannot know how. This may depend on the willingness of others to come and follow in our footsteps. We pray that the expectation will be fulfilled. This entry will mention only in passing other cases today: the 9 year old girl with a chest wall abscess that was drained; the infant child whose infected in-grown toe-nail that had to be cut out; the families of children whose heads are infested with lice. Still, most of our patients present simple issues with troublesome symptoms that we address as well as we possibly can, knowing that we are making the barest dent in the poverty that afflicts each and every one of them - otherwise they would not be coming to see us. Our appreciation for our Honduran partners and for one another grows day by day, and we continue to pray that God is guiding us in all we do. Today we treated about 162 patients. A contingent of children awaited us at the church when we arrived at 8 am this morning, to prepare for an 8:30 opening. Of the 137 patients we looked after today a great number of them were children. We had anticipated the possibility of a slow day at the start of the week, and we had to work out the details of our own system, but there wasn't much slow time between opening and the time we finally left, about 5:30 pm. Our mission is in many ways a simple one. We have come prepared to deal with a good number of medical conditions; although we have some specialists, and even two surgeons, we are not equipped to handle any but the most basic surgeries - which so far have not presented themselves. We have learned from previous trips here that the most severe condition we are treating is often poverty and its effects on a person and on a community. This trip is proving to be no different in that respect. We are dispensing a lot of antibiotics for infections, medications for gastritis, an ample supply of basic pain killers for acute or chronic discomfort of all kinds. Still the range of issues varies "from the trivial to the profound," in the words of team leader, Ken Pearlstein. Our doctors have shown themselves to be marvelously adaptive and cooperative. We have been hugely supported today by a cohort of local students, church folk, and others corralled by the indomitable Ana. The help from these additional members of our team - especially the interpreters - is just immeasurable, and we are very grateful to be working in partnership with them. Two contrasting observations have struck some of us. On the one hand, we are reminded of how embarrassingly rich we Americans are in almost every respect. On the other hand, we are reminded that poverty in America, and its effects, looks in many respects very similar to the poverty here in Honduras. There is a feeling in the group that we are all grateful to be here, and to have gifts and abilities to offer, and the freedom and inclination to share them with this community and with one another. Your 14 missionaries arrived in San Pedro Sula without incident yesterday, Saturday afternoon. Our hosts from the Episcopal Diocese of Honduras were waiting for us at the airport. We were allowed to bring out 16 bags of medication and medical supplies into the country without question or any trouble whatsoever. We loaded up a pickup truck and our very crowded van with all those supplies and with our own luggage and made our way to Puerto Cortez, on the north coast of the country. Our hotel overlooks a fairly grungy beach, and a bay that's hemmed in by a naval base and commercial wharves. Also with us is Ana, who works with SAMS (South American Missionary Society) and is our guide and helper throughout the week. She is an impressive woman who has clearly been working hard to help the church in this corner of Honduras become more self sufficient. She tells us that there is not a single parish in the diocese (which covers the entire country) that is self-sufficient. The Episcopal Church here is a missionary diocese of the American Episcopal Church and has been heavily dependent (we are told) on support from the American Church, but that support is now waning for various reasons, posing a real challenge to the church here in Honduras. After Mass we started to organize the space in the church and an adjoining building to serve as the clinic for the next four days. The weather is hot and humid - but everyone assures us that it is not especially so for this time of year. Our work wrapped up around 2, and we headed back to the hotel. A late lunch, then about half of us headed out to see a local colonial fort that guarded the Honduran coast in the 18th century and served as a prison in the early 20th century. Tomorrow we open the clinic at 8:30. Late this morning we packed up the 16 duffel bags of medical supplies, each weighing in at 50 pounds or so (yes, that's about 800 pounds of medical supplies we are carrying with us), into our friend Steven's big SUV. Steven will take Kenny and the supplies to Newark Airport in advance of the rest of us to negotiate getting them all on the flight at the lowest possible cost. Kenny has been collecting these supplies over the past months, working with the doctors to produce a list of medications and other supplies we needed to bring. Previous experience has taught us that trying to ship supplies in advance can lead to lengthy and costly "negotiations" with Honduran officials. Fourteen of us from Saint Mark's are preparing to depart in the wee hours of Saturday morning for Puerto Cortez on the northern coast of Honduras. We'll be staying in a hotel there and setting up a free medical clinic in cooperation with the Episcopal Diocese of Honduras. We also ran free clinics in Honduras in 2011 and 2008. We'll be posting reports here on the website to let you know how things are going. Thanks to many of you who supported this mission, and please continue to pray for us and for all the people we serve, and for the people of Honduras. Sometimes, when we tell people that we're manning a medical mission to Honduras they'll ask, why Honduras? Why not stay and help people right here in your own back yard? And why, of all the needy places in the world, have you settled on Honduras? These are fair questions, and here are some answers. 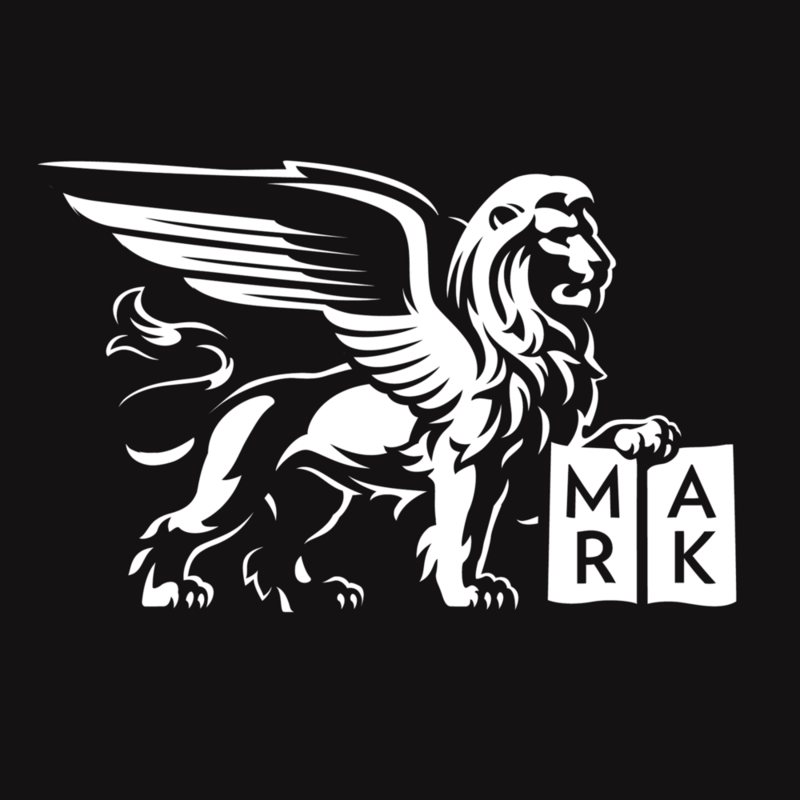 Saint Mark's already helps right here in our own backyard. We supply the poor of our city with sackfuls of groceries four weekdays each week, year-round. Likewise, with the greatest care every Saturday we serve a warm homemade meal to Philadelphia's most indigent and forgotten people. Sometimes though, when the wind blows from the west, we breathe in a suffering that surpasses any that we've seen here in our own cities, and Christ calls for us to help. Our Christian brothers and sisters in the Episcopal Diocese of Honduras work to serve their poor in the midst of a corrupt government that has cast a great divide between themselves and their people. Honduras holds one of the poorest populations in the Western Hemisphere with greater than 60% of the populations falling below the national poverty line. Public healthcare systems are sadly neglected, and the church remains the strongest provider of basic missionary healthcare. Under these circumstances, Saint Mark's Church has committed to do her part. Manned with skilled doctors, nurses and interpreters, with an artillery of medical equipment and carrying a fully stocked pharmacy, we are preparing to serve 600-800 people in the hub town of Puerto Cortes.